Master blaster Cricket Legend Sachin Tendulkar, titled as `God of Cricket' complimented IDF's national work. Dr. Narayan B. Iyer, CEO, IDF met the Cricket Legend at one of the meeting organised by `Joy of Giving Week' and conveyed congratulations for the unbeaten 200 at the IPL 2010. Dr. Narayan presented a copy of the book `Hope on the Horizon' on which the Legend autographed and wrote "KEEP SMILING". 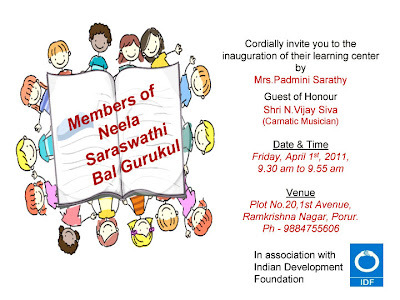 Neela Saraswathi Bal Gurukul - IDF's 34th Bal Gurukul in Porur, Chennai. Inauguration on 1st April 2011. It's going to be a model Gurukul, a step beyond education. Warren Buffet and Bill Gates are very much in the news sharing mantras of philanthropy to the businessmen in India. However, young minds in NSN Mat. Hr. Sec. School, Chennai are no lesser than any great philanthropists in the country. The joy of giving by these young minds have in place for nearly 12 years now ! N.S.N Mat. Hr. Sec. 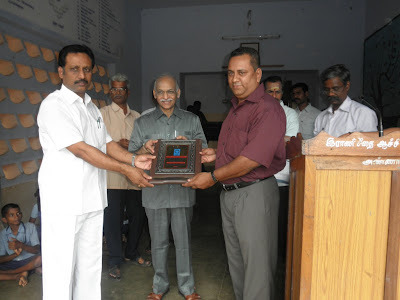 School, Chitlapakkam, Chennai set a record of supporting deserving social causes continuously for the past 12 years. 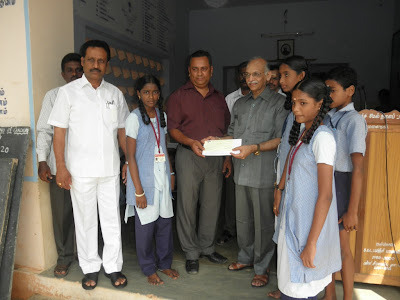 In a simple function organized at the school premises on 25th March 2011, Mrs. Chitra Prasad, the Correspondent of the school, presented donation cheques to Indian Developmental Foundation, Avvai Home and Orphange and Naam Foundation in support of outstanding service rendered for the welfare of less fortunate children. The donation presented was voluntarily mobilized by the students for various social causes as a part of their social responsibility program. Mrs. Suhasini Mani Ratnam, renowned cine artist and the Founder of Naam Foundation was the Chief Guest for the function. She lauded the students for their sacrifice and selfless service towards reaching out to the needy. She said the children have done the right thing and the spirit of service should sustain. Speaking on the occasion, Ms. Chitra Prasad, the Principal and Correspondent of the school said that while it was important for the students to be successful, it was equally important to be service minded. School life was the wonderful opportunity to develop the spirit of service, she observed. Dr. S. Franklin, Manager Southern Region, Indian Development Foundation mentioned that the N.S.N. Mat. HS School, has set an excellent example of sharing and caring by supporting many needy causes for 12 consecutive years. Hats off to the young minds for generating such a philanthropic wave. Ms. V. Susheela, Hon Secretary and Correspondent of Avvai Home and Orphanage thanked the students and the management profusely for the great support extended for the cause of educating underprivileged children. Student representatives of the school took active part in the program. N.S.N. Mat. H.S.S. has the tradition of supporting social causes every year out of willing and voluntary contributions raised by the students. N.S.N school has an excellent track record of winning several state, regional and district ranks both in academics and extra-curricular activities. The school aims at the overall development of children and sets a sterling example for many others to emulate. Mr. K. Sathyamurthy, Development Executive of Indian Development Foundation joined Dr. Franklin in expressing sincere gratitude to all the students for their splendid social performance. Shri Vijay M. Balamwar, Assistant Municipal Commissioner, P North Ward, Mumbai congratulated the efforts of Indian Development Foundation on mass TB Awareness Drive as he received the multi-lingual TB awareness posters from Dr. Sharad Nayampally, IDF Social Ambassador. GREMALTES and Indian Development Foundation organised a health awareness talk for the workers of K.J. Fabrics in Chennai on 22nd March. About 50 workers from the unit were benefitted by the health awareness talk. Mr. Sreenivasalu and Mr. Paul Calat were the Health Educators from GREMALTES while Mr. S. Sreeram, Zonal Officer, IDF addressed the women's group on the need to control the spread of TB. The women's group in K.J. Fabrics appreciated the health workers of both the NGOs for organising such a meaningful health awareness programme. The awareness talk was organised as part of World TB Day which falls on 24th March. Indian Development Foundation organised massive awareness campaigns in various educational institutions in India as part of World TB Day. 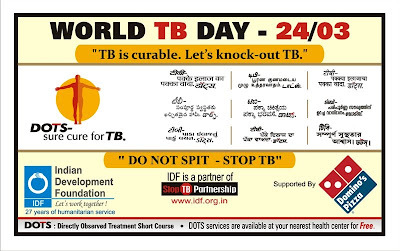 24th March is observed as World TB Day. IDF conveys special thanks to Mary Kom and Leander Paes for endorsing TB awareness message. Let the message spread in the overall interest of humanity. Podar International School visited St. Catherine's Home and celebrated Holi festival with a difference. Instead of colors, Holi was played with colorful flower petals. Spreading the message of care and compassion, the visiting students also presented sweets. Mrs. Sarala Gavane from Podar School - Rev. Sr. Louretta from St. Catherine and Dr. Sharad Nayampally from IDF co-ordinated the event on 18th March 2011. A social responsibility initiative of Indian Development Foundation. IDF salutes Rani Seethai Achi Hr. Sec. School, Chidambaram, Annamalai Dist. 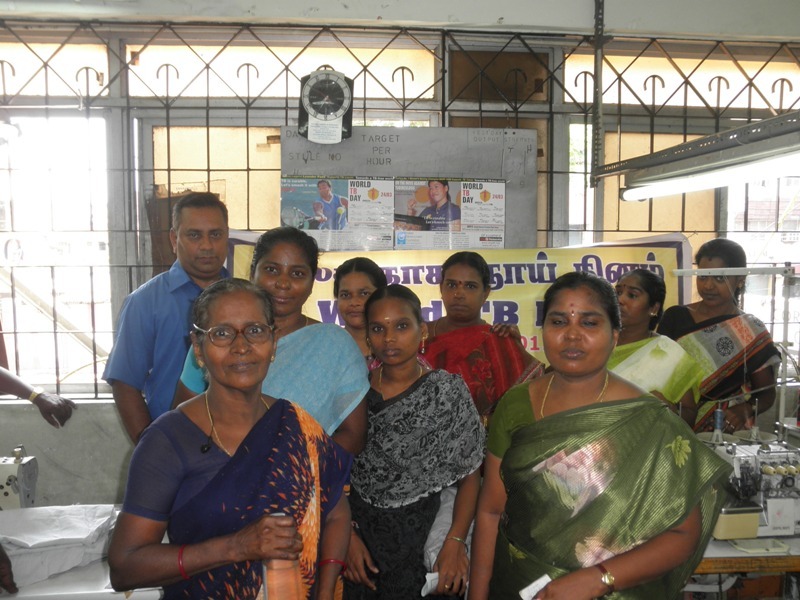 in Tamil Nadu for being a constant supporter of the leprosy/ TB and education programmes. Mr. M. Rathina Sabhapathi, Registrar of Annamalai University - Mr. R. Dharbarayan, Headmaster of the School and Mr. Aser Ravichandran, P.T.A. President expressed their happiness as they extended continued support to IDF. Mr. S. Sreeram, Zonal Officer, IDF thanked the school-team for creating massive leprosy/ TB awareness programmes and mobilising voluntary resources for the cause. IDF young ambassador Shiloh Jessie Francisca, student of the school felt proud of being associated with the Foundation in promoting social programmes in Tamil Nadu. Young students should come forward and support noble causes. Students are the changemakers in the society and we should learn social values at young age, said young Shiloh as she received honours for her social responsibility. The students received World TB Day posters and pledged to take the message to the masses. Dr. Anil Kakodkar, Chairman, Atomic Energy Commission of India was the Chief Guest at the High Education Forum's Second Annual Convention organised at ITM Business School, Navi Mumbai on 12-03-2011. Dr. A. K. Sen Gupta, Founder and Convener, Higher Education Forum, Dr. A.R.K. Pillai and Dr. Narayan B. Iyer pose with Dr. Anil Kakodkar. Mr. Sanjeev Verma, Country-Head, Halliburton appreciated the work of Indian Development Foundation in the areas of health, education and rural development. He expressed his special thanks to his team members for supporting IDF's social programmes and making "Halliburton Giving Choices -India" a successful social responsibility initiative. Mr. Sanjeev Verma presented the contributions mobilised through Halliburton Giving Choices programme for Indian Development Foundation's humanitarian programmes in India. Mr. Jayakumar, Manager- HSE, Halliburton is seen with his Volunteer Council team while doing the presentation to Dr. A.R.K.Pillai, Dr. Narayan B. Iyer and Dr. Sharad Nayampally. (14-03-2011). Indian Development Foundation salutes the social responsibility initiatives of Halliburton. Dominos Pizza India Ltd. join hands with IDF to fight TB. Let's knock-out TB. Let's smash TB with DOTS. This World TB Day, Dominos team will spread TB awareness through our team members and we will help in putting up TB posters and spread awareness by distributing handbills. We need to fight TB and awareness is the only answer, said Mr. Raj Shahi, Regional Manager (West Zone), Dominos. We has been taking part in various CSR programmes in collaboration with IDF and TB awareness is going to be more effective one, said Mr. Yogesh Sood, Manager-HR,Dominos. IDF thank Dominos team for such a wonderful social responsibility initiative and collaborative participation will help in making the awareness programme more effective, said Dr. Narayan Iyer, CEO, IDF as he handed over the TB awareness posters to the Dominos team. Education is the birthright of every child. A must watch documentary on IDF's education programme. Importance of education and IDF's role in establishing Bal Gurukuls in India. By end-Feb 2011, IDF has established 31 Bal Gurukuls in India. IDF aims to open 100 Bal Gurukuls by 2015. 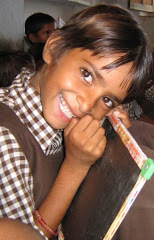 Education is the birthright of every child. IDF thank Whistling Woods International for making this documentary possible. Seeing is believing. 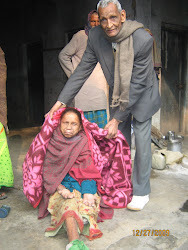 IDF partners with over 100 leprosy/TB projects in India and has established 31 Bal Gurukuls. 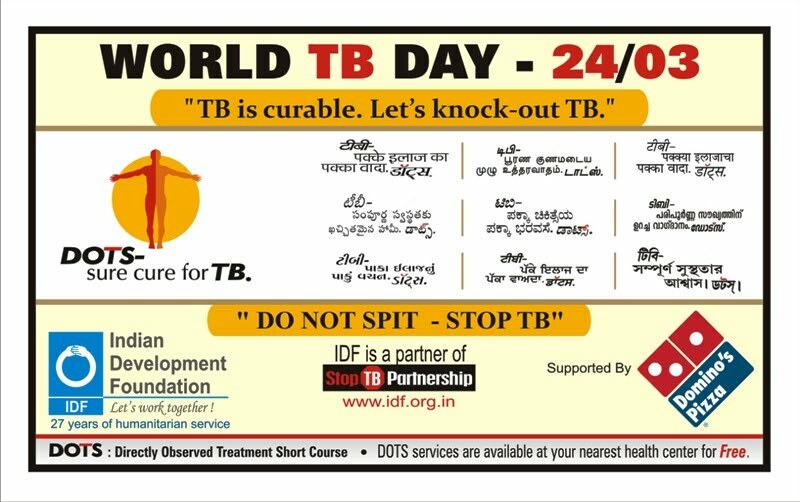 Indian Development Foundation launched the multi-lingual World TB Awareness poster for World TB Day which falls on 24th March. Wg. Cdr. S. Balasubramaniam IAF (Retd) and Social Ambassador of IDF had the pleasure of putting the first TB Awareness posters in IDF office, Mumbai on 1st March 2010. IDF is planning for a month-long massive awareness campaign throughout the country. 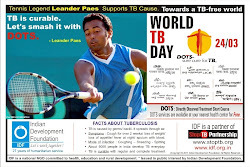 The multi-lingual TB poster specially designed, gives vital information on the disease. The posters will be distributed to various schools/ colleges/ institutions/ public offices across India, Wg. Cdr. Balasubramaniam said. Dr. A.R.K. Pillai and Dr. Narayan B.Iyer expressed special thanks to India's No.1 Women's Boxing Champion Mary Kom and Tennis legend Leander Paes for supporting the TB Cause in humanitarian interest. We are indeed grateful to the great icons for coming forward to support TB cause, said Dr.Iyer. Issuing a message for IDF's TB awareness campaign, the icons appreciated the wonderful work of the Foundation in humanitarian interest. 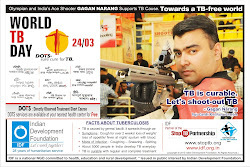 Institutions/ Individuals desirous of getting FREE TB posters for awareness purpose may contact IDF - idfindia@gmail.com.